Adaptalift Group has grown organically with over 37 years of experience, 13 State Branches, 6 Airside Operations and over 32 service centres Australia wide, in all metro & major regional areas. The Adaptalift Group is heavily focused on its diverse business operations including forklift sales and rental, safety and telemetry systems engineering as well as property and infrastructure. Originally Founded in 1982 as Forklift Engineering Australia, AALGroup designed and manufactured forklift attachments. As demand grew for the rental of these attachments to be supplied with forklifts, Adaptalift Forklift Rentals & Sales was formed. Since then, the group has grown rapidly to become the largest Australian privately owned and operated forklift company, with a fleet of over 10,500 units nationwide. The Adaptalift Group seeks to continually develop and provide the best products and services to the materials handling industry, through focusing resources on outstanding sales support, customised service and fleet management solutions. 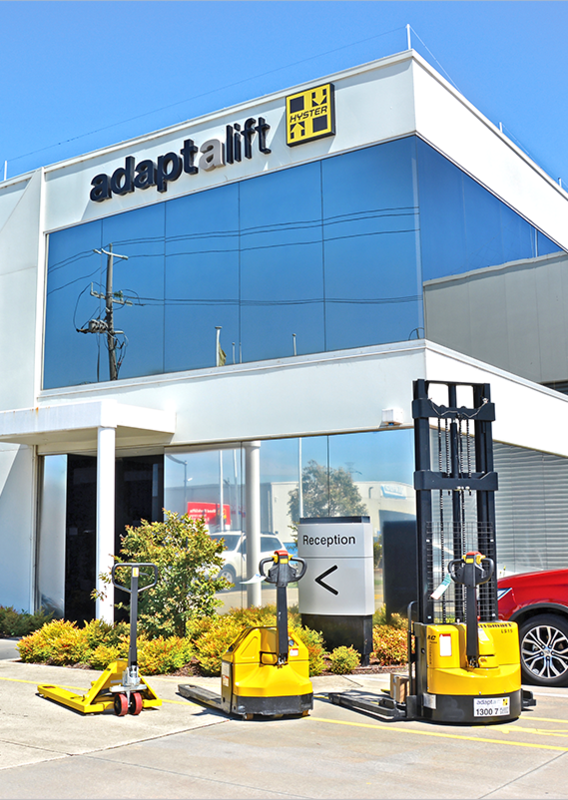 Adaptalift’s reputation has been built on total commitment to customer service while providing customers with the most reliable, flexible and cost effective solutions to their materials handling and forklift fleet management requirements.